Mr. Rogers’ sage advice summarizes my participation in Huntsville, Alabama’s Panoply Arts Festival this past weekend. ClayByLaura is not a solo endeavor. I am the hub surrounded by a multitude of spokes (helpers) that enable the clay creations from my studio to land in homes and gardens for use and enjoyment. I am so grateful. My husband helped with the (literal) heavy lifting, driving, and emotional anxiety I experience during this type of event. His booth layout suggestions were spot on. Lesson learned: trust new ideas. 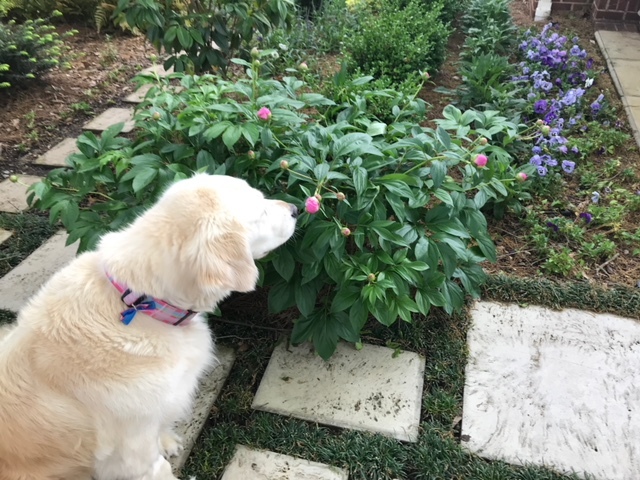 My Huntsville family, Donna and Mike embraced the whirlwind of disruption to their daily routines and welcomed our dog Carson into their home and beautiful garden. They fed and nurtured us throughout our stay, assisted in the booth throughout the festival, publicized ClayByLaura to their friends and helped us fall in love with Huntsville over and over. My Huntsville friends were there in force. People I’d met on my past trips came to the event, shopped and told their friends and made me feel welcome. 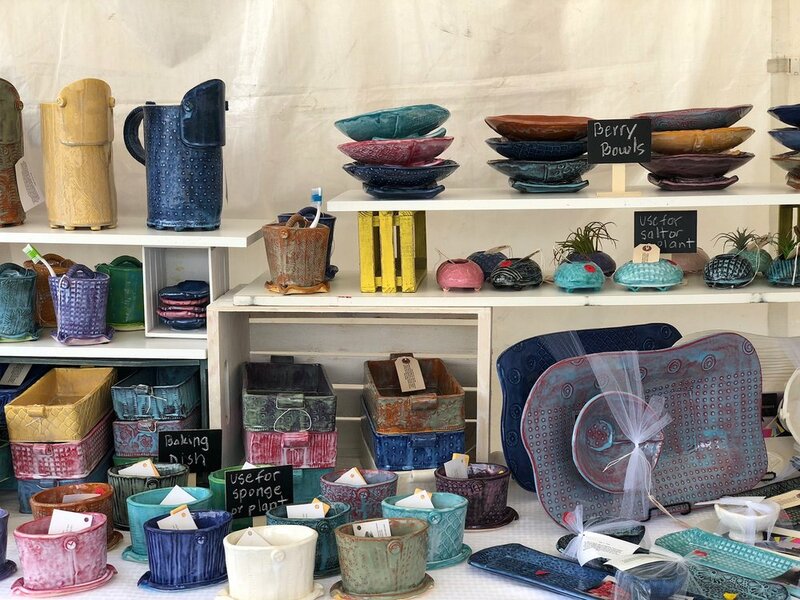 A special shout out to Teresa who spent hours of each day in my booth, encouraging sales, writing and wrapping up purchases, and giving me breaks to enjoy the festival a little. One more advantage of show participation is the other artists you meet. The pop-up village quickly becomes a supportive community. Chris and Lauren of DrawDog came to my rescue when a gust of wind knocked over one of my shelves and several of my pieces broke. It’s awful when it happens, but it happens. They were right there by my side, picking up pieces, offering help and providing just the emotional support I needed at the time. Do you live in Huntsville and still want to shop for ClayByLaura locally? Good News! Several of my creations are now available at The Little Green Store and Gallery thanks to Ana Byrne! And, I'll be coming back with more pottery before the year ends for a special show at the shop! Keep your eye open for details! Helpers are everywhere. Without looking, you just need to be open to their offers. And likewise, when the opportunity arises, be that helper yourself.